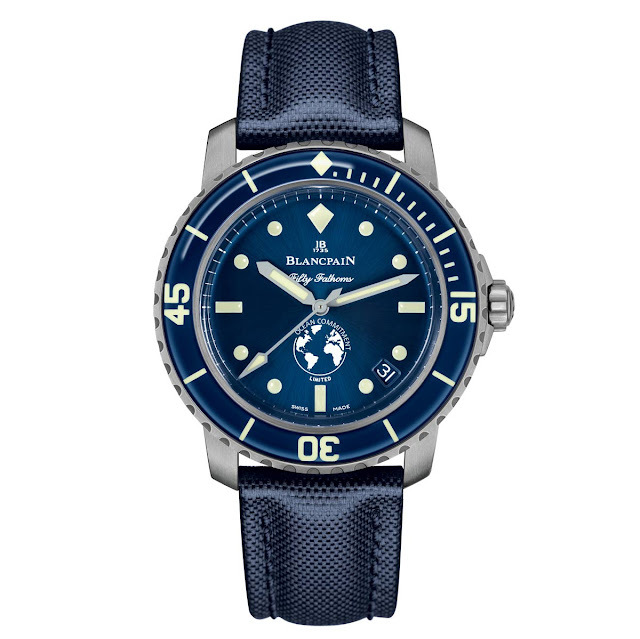 Blancpain presented the third series of Blancpain Ocean Commitment (BOC) limited edition diving watches. 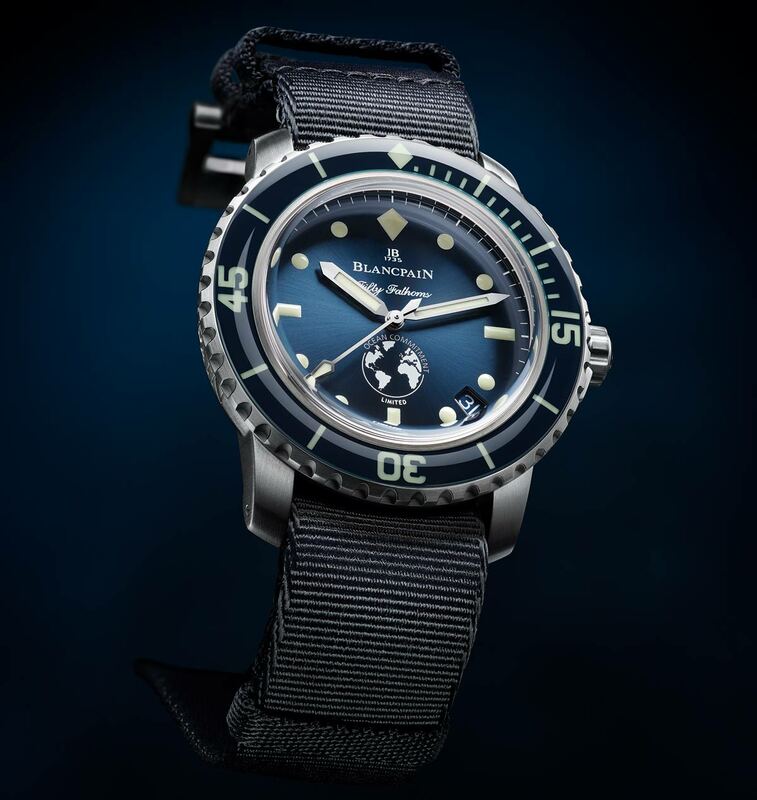 Since the launch of the Fifty Fathoms – the first modern diving watch – in 1953, Blancpain has maintained a strong commitment to exploring and preserving the world's oceans. 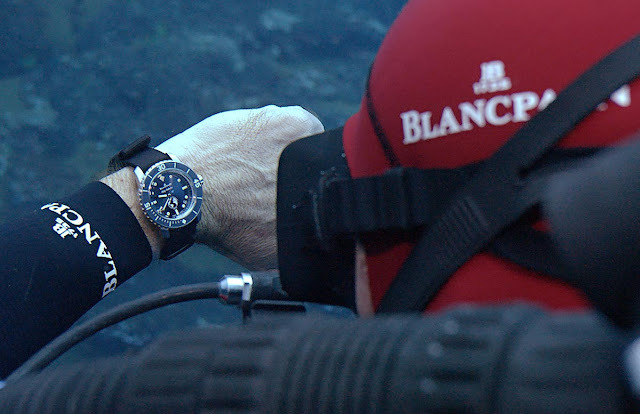 Four years ago, in addition to Blancpain's annual support to expeditions and major oceanographic projects, the brand introduced a first series of limited edition BOC timepieces, followed by a second series in 2016. The new Fifty Fathoms Ocean Commitment III comes in a 40 mm-diameter satin-brushed steel case, an exclusive diameter reserved for limited-edition Fifty Fathoms watches. The deep blue, unidirectional rotating bezel is topped by a scratch-resistant sapphire ring and features large indexes in Super-LumiNova, as are the dial's markings and hands, for optimal readability in underwater conditions. Bearing the BOC logo at 6 o'clock, the dial colour matches that of the bezel. The deep blue colour is also used for the sail-canvas strap and the additional NATO strap. Water resistant to 30 bar, equivalent to approximately 300 meters / 1,000 feet, the watch is powered by a reliable and robust self-winding movement, Calibre 1151, which achieves a four-day power reserve and is fitted with a silicon hairspring, a material insensitive to magnetic fields. 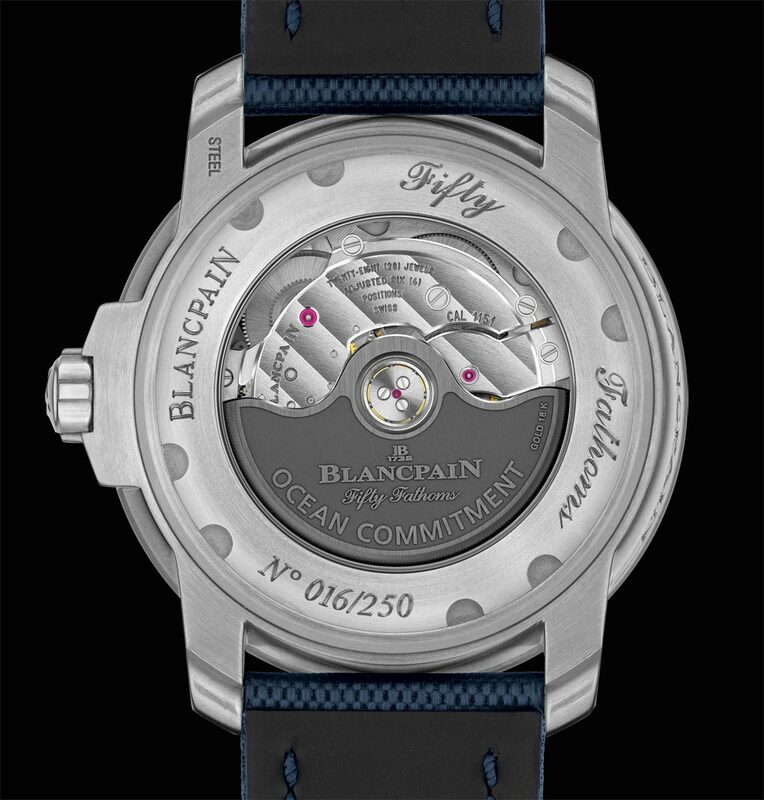 The movement is visible through the transparent sapphire case-back, allowing the owner to appreciate the fine Côtes de Genève decoration, as well as of the gold winding rotor specially engraved with the inscription "Ocean Commitment" and featuring a NAC finish (an alloy notably composed of platinum). A limited edition of 250 individually-numbered pieces, the Blancpain Fifty Fathoms Ocean Commitment III (ref. 5008-11B40-52A) has a price of Euro 16,240. The brand has committed to donate 1,000 Euro for the sale of each watch, implying a total of 250,000 Euro added to Blancpain's much larger support. One of the best diver's watch ever produced. For me it's still the best. Is it available with a bracelet? Blancpain Fifty Fathoms Ocean Commitment III. Blancpain presented the third series of Blancpain Ocean Commitment (BOC) limited edition diving watches. The new Fifty Fathoms Ocean Commitment III comes in a 40 mm-diameter satin-brushed steel case, an exclusive diameter reserved for limited-edition Fifty Fathoms watches. 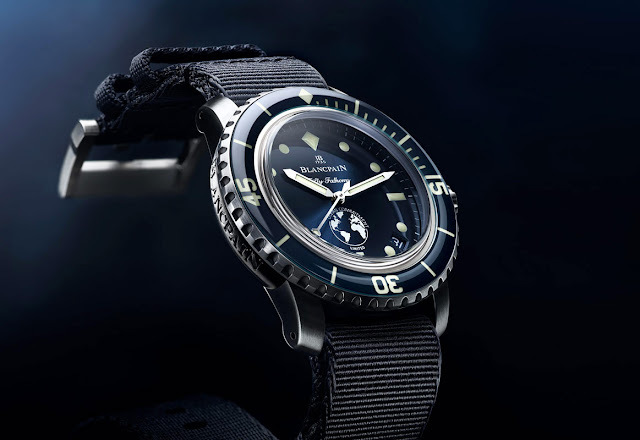 A limited edition of 250 individually-numbered pieces, the Blancpain Fifty Fathoms Ocean Commitment III has a price of Euro 16,240. The brand has committed to donate 1,000 euro for the sale of each watch, implying a total of 250,000 euro added to Blancpain's much larger support.